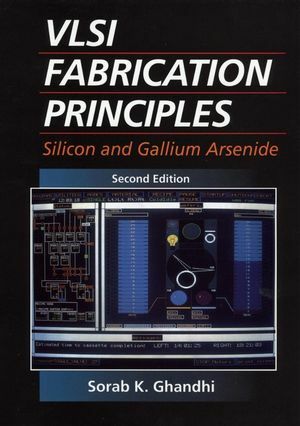 Fully updated with the latest technologies, this edition covers thefundamental principles underlying fabrication processes forsemiconductor devices along with integrated circuits made fromsilicon and gallium arsenide. Stresses fabrication criteria forsuch circuits as CMOS, bipolar, MOS, FET, etc. These diversetechnologies are introduced separately and then consolidated intocomplete circuits. An Instructor's Manual presenting detailed solutions to all theproblems in the book is available from the Wiley editorialdepartment. Sorab K. Ghandhi is a professor Emeritus at Rensselaer Polytechnic Institute known for his pioneering work in electrical engineering and microelectronics education, and in the research and development of Organometallic Vapor Phase Epitaxy for compound semiconductors.